Your health is important to you around the clock—not just during office hours. That’s why WVU Medicine offers MyWVUChart to our patients. MyWVUChart is a free, easy, and secure way to view your health information* and communicate with your healthcare team. All you need is Internet access and e-mail. *The information stored in MyWVUChart is not your complete electronic health record. Click to learn how to request your complete health medical record, or contact the Health Information Management (HIM) Department at 304-598-4109. MyWVUChart is designed for WVU Medicine patients. In order to use MyWVUChart, you will need to be identified in our WVU Medicine system with some patient information. (If you’ve ever been seen by a physician at WVU Medicine, you are already registered in our system.) You will also need to activate your MyWVUChart account. 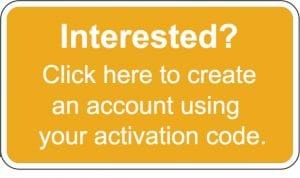 To activate your account, visit us online at MyWVUChart.com or in person at one of our HIM departments to obtain a temporary activation code. You will have 30 days to activate the system before your temporary code expires. 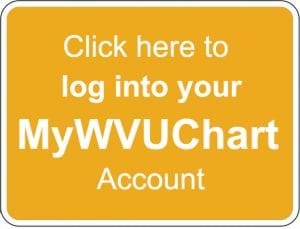 Our MyWVUChart app for mobile devices lets you access your WVU Medicine information when you are away from your computer. This free app is available for Apple and Android mobile devices. Download the MYCHART app and configure with our WVU Medicine location zipcode 26506.